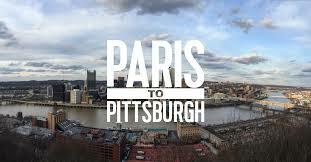 Spotlighting the cities, states, businesses and citizens taking action, Paris to Pittsburgh explores the very real social and economic impacts of climate change-fueled disasters, from America’s heartland to the nation’s coastlines. 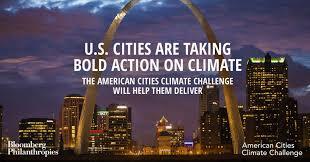 The film features voices from local leaders as well as everyday Americans presenting the stories behind climate-related recovery and resiliency, as well as innovative efforts to reduce carbon emissions, including boomtowns formerly reliant on coal such as Pittsburgh. Other locations featured in the film include Puerto Rico, California, Iowa, Florida and New Jersey. Click top image to begin watching the film. Beyond Coal initiative, which aims to secure the retirement of half the nation’s coal fleet, has already led to the closure or phasing out of 270 coal-fired power plants and helped to prevent more than 5,550 premature deaths per year. 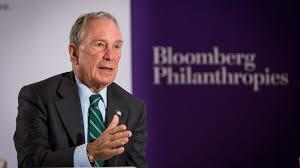 Additionally, Bloomberg Philanthropies supports sustainability in cities around the globe through C40, a network of more than 90 global megacities, and other programs including the American Cities Climate Challenge, a $70 million accelerator program to provide 20 cities with powerful new resources to help them meet – or beat – their near-term carbon pollution goals. Save the Date! 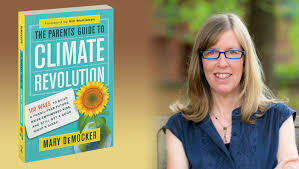 Nebraskans for Solar’s Earth Month speaker will be Mary DeMocker, author of The Parents’ Guide To Climate Revolution: 100 Ways To Build A Fossil-Free Future, Raise Empowered Kids, and Still Get A Good Night’s Rest. This entry was posted in Nebraska / Midwest News, NewsBlog and tagged Beyond Coal Initiative, Bloomberg Philanthropies, C40, climate action, Mary DeMocker, National Geographic Documentary, Nebraskans for Solar NewsBlog, Paris to Pittsburgh, Sierra Club, The Parents' Guide To Climate Revolution on December 16, 2018 by Helen Deffenbacher.